These are the devices I've tested so far. 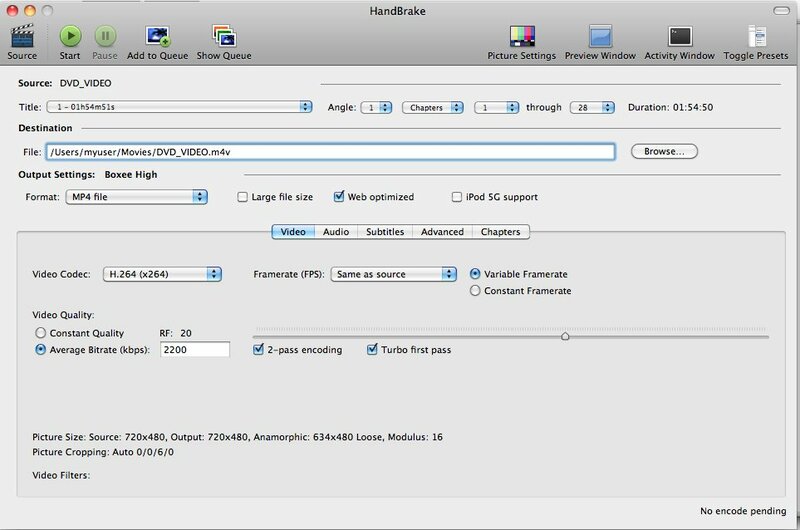 Insert a DVD into your Mac. Unless you have disabled it, iDVD will start automatically. Quit iDVD. Open MacTheRipper and it should detect the DVD and display some basic information about the DVD. If you see 'DISC RCE: -CLEAR-' in the bottom right-hand corner of the screen, you can leave the 'RCE Region OFF'. 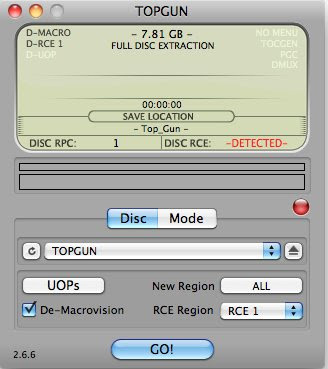 If you see "‘DISC RCE: -DETECTED-", then set "RCE Region" to the region from which the DVD was purchased. Besides "RCE Region" you should be able to leave defaults for all other settings. Choose "Save To" fro the "File" menu and choose the target directory for extraction. Click "GO" to begin extraction. 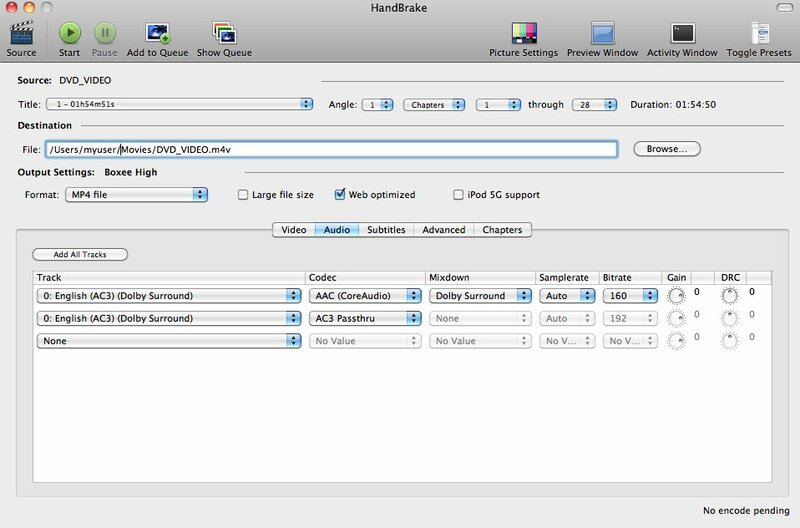 Open HandBrake and set the source directory to the MacTheRipper save location. 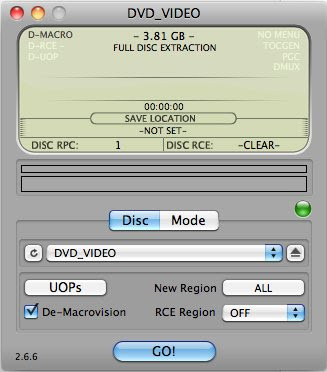 A "Preview Source" window will open with an image from the DVD. Move the slider to a few points in the DVD and make sure the top, bottom and sides aren't being cut off. Adjust the Size Cropping if you believe the automatic crop setting is removing any part of the movie. 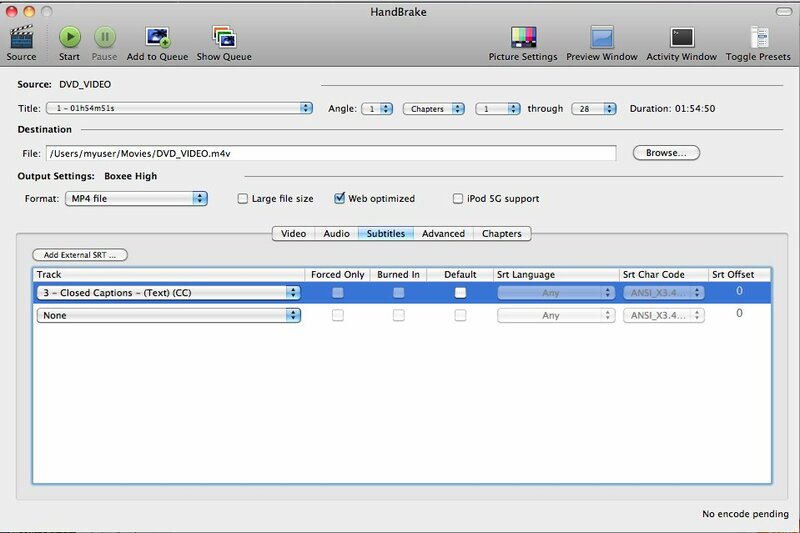 Select the Track labeled "Closed Captions - (Text) (CC)"
And finally, click "Start" to begin encoding the DVD image to an MP4 file. 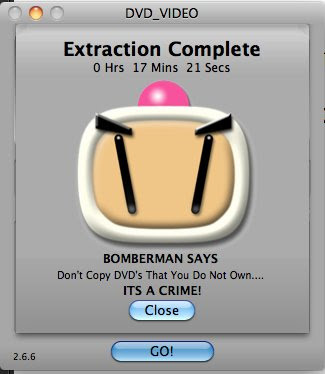 I keep the full extracted DVD images on my Drobo, so I can access the menus and special features from my Macs and I copied all of the MP4 files to a USB drive attached to my Boxee Box.